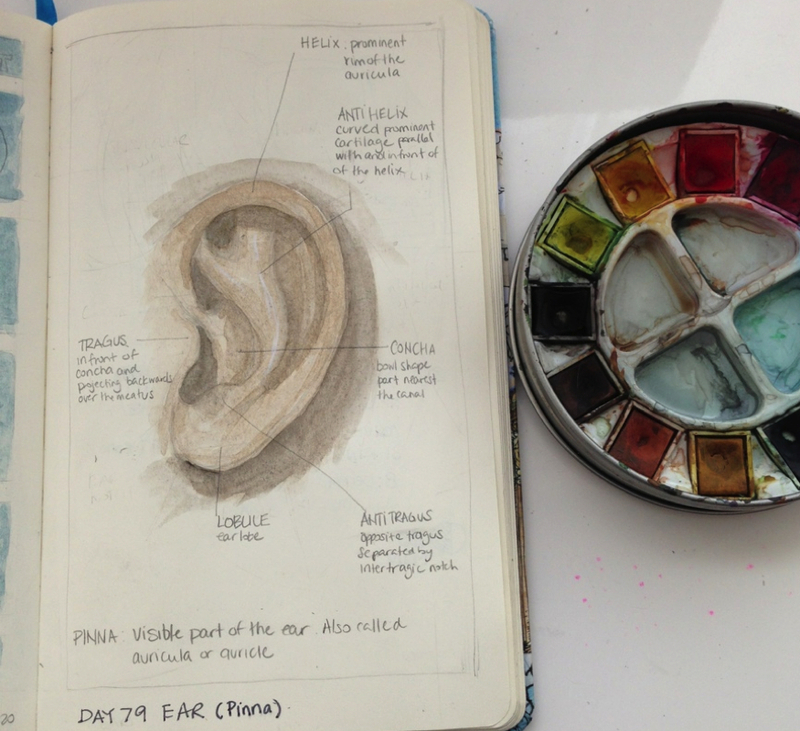 The sketching challenge this time was to draw an ear. I took this opportunity to learn a little more about this complex shaped body part. I never realize how different the shape of someone's ear can vary from another, not only is size but in shape too.